Judy Croome : Can We Both Condemn and Understand the Past? Can We Both Condemn and Understand the Past? 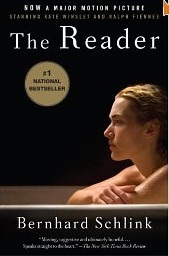 My reading of the English translation of "The Reader" by Bernhard Schlink may be influenced by the outstanding movie version, which won Kate Winslet her (well-deserved) Oscar. The Reader doesn’t disappoint on any level. Perhaps because of my personal experiences (a white South African born to the generation who voted the Apartheid government into power), this novel moved me in ways I can’t begin to describe. At times I wondered if Hanna wasn’t symbolic of Germany herself, and Michael’s statement “I wanted simultaneously to understand Hanna’s crime and to condemn it” is a poignant echo of the post-war (or, for that matter, post-apartheid) generation’s complex patriotism. Is Hanna’s illiteracy and ignorance enough to excuse her? And is it a metaphor for previous generations of people the world over who were simply unaware of the darkness to which that ignorance/lack of education/whatever could lead them to? Should we condemn or understand them? And, if we condemn those who have lived before us, what will future generations – those yet-to-be-born generations who will have more knowledge on which to base their choices and actions than we have – find to condemn in our behaviour? Perhaps in a hundred years times vegetarian children will have to bear the guilt of previous generations who (considering themselves perfectly civilised and moral beings) today deliberately slaughter living creatures to eat. Sometimes I find it hard to bear that I and my beloved parents – good, ordinary people, all of us, or so I like to think – were simply too concerned with bread-and-butter issues to fight the evil of apartheid and become heroes of “the struggle.” Sometimes I find it hard to bear that, just as the German psyche will never be entirely free of the guilt of the Holocaust, so the white South African psyche will never be entirely free of the guilt of Apartheid. Bernhard Schlink does an admirable job in addressing a topic that raises difficult moral and legal questions, none of which has easy answers. There are no guarantees that the story of the good and evil that mankind is capable of will not be repeated: the victim may become the oppressor, the oppressor the victim. As I write this review, the Palestinians live in ghettos under Israeli rule. On Black Tuesday 22-11-11, in South Africa, the black ANC government has voted in favour of an information bill, which limits the democratic freedom of speech, while the good, ordinary people (as in previous eras) were too concerned with bread-and-butter issues to care about some law whose significance they didn’t fully comprehend. So, who knows what those who find it easier to condemn than to understand would do if a malicious Fate places them in Hanna’s shoes? 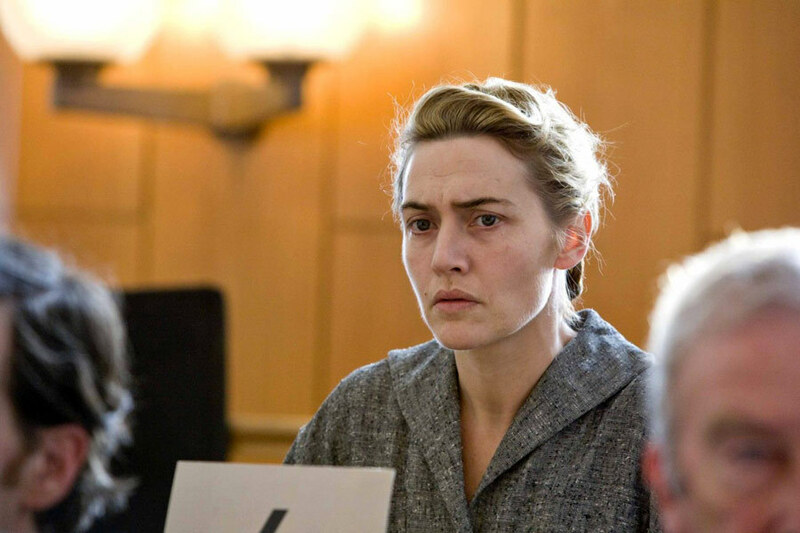 “What would you have done?” Hanna asks the judge presiding over her war crimes trial. But she got no answer and nor did she expect one. This simply written tale is a melancholy and insightful book that will linger in my mind for a long time. While it gives no easy solutions, it does provoke a deep and thoughtful analysis of how the human spirit copes when confronted with deep and horrifying truths about one’s individual and collective identity. I agree, Judy. I loved the (of The Reader) book and then loved the film. I only saw the film of the Boy in the Striped Pyjamas and I thought it ws awful. It put me right off the book, but maybe I was wrong? It's the second review on that page. I have not read The Reader. But on the dynamic of victim/oppressor, yes, I think we should try to understand even while we condemn. The pessimist in me ( and when it comes to politics I generally am) says that unless we are watchful, someone who is granted a measure of power will abuse it. I have not read or seen the movie. But it seems like a story I'd be drawn to. The times often dictate how people behave (if everyone else is doing it, it must be okay so why not me? We can be such sheeple)and hindsight is always 20-20. That said, when we deliberately close our eyes/turn our backs/shut down our Jiminy Crickets to an obvious wrong, then I think we must each of us bear our own portion of blame/guilt. BISH: Both the book and the movie are impeccable! And you've raised an important point: the key to any moral judgement of the past actions of another (if we're even entitled to make a "judgement", which I'm not sure we are, but which is, I suppose, a natural human drive, to judge others for what we repress in ourselves), is whether those actions were done intentionally or ignorantly. Perhaps ignorance of the law, moral or otherwise, is no excuse. But I tend towards the thought that a person or a generation's level of consciousness must be taken into account. That doesn't condone events like the Holocaust or Apartheid, but it does bring compassion and understanding into play. I've seen the movie a few times on tv but have never really watched it. It somehow did not catch my attention. Next time I would like to make a point to watch it after reading your reviews on it. I've yet to read the book (I've got in my "to buy" list on amazon, in German, because I want to get back tot he fluency I used to have years ago) but I did see the film and I came away from me feeling confused, angry and despondent somehow. All to do with how good the movie is. The plot is tight and the performances magnificent. I used to share you concerns about book vs movie adaptation (or viceversa, sometimes) but I have come to realise that we're talking about two different media which express themselves in totally different ways. We human beings are a complicated lot, both deserving of excoriation and of admiration, sometimes in the same person. The truth is that each one of us is capable of exhibiting both the worst and the best in us. To deny that is the height of hubris. Understanding this is a first step on the path of forgiveness, without which none of us could ever ultimately thrive. Your country is certainly seeing this writ large in the annals of history, but each of us has the same opportunity, even if not on the same scale. COLD: Yes, there have been very few movies that live up to their brilliant books (The Reader is one of them). And Kate Winslet is definitely one of the best actress round today. She’s brilliant. OCEAN GIRL: The movie does require concentration as there’s quite a few timeshifts – but it’s worth watching. Winslet gives an outstanding performance and the actor who plays the young Michael out-acts Ralph Fiennes! And the themes both book and movie explore are profound. CUBAN: Gosh, that’s one thing I lack – a skill with languages other than English. What a gift to be able to read books such as this one in their original languages – I often feel frustrated when reading translated works because I always wonder how much of the translator’s vision has overshadowed the author’s original intent. JUDITH: Well said! To deny that each of us, as both individuals and as part of the collective, are capable of either the heights of goodness or the depths of evil, whether on a small personal or grand national scale, is indeed hubris. Only by recognising that potential within us, can we use our free will to make the (hopefully) better choice. What a gorgeous, thought-provoking review of a truly exceptional novel. I may have to reread. And the film was equally amazing. The Boy in the Striped Pajamas was an amazing story, one that really shook me. Its an amazingly written story. Have not read The Reader though. Usually I find the books far greater than the movies. Hi Judy .. great review - I missed The Reader when it came here - now I wish I hadn't! I'll catch it sometime and obviously must read the book too .. Very interesting .. but we do what we do when we do it - because that's how we're not thinking .. it's only later we grow perhaps wiser and know that we would react differently .. and are perhaps in that mode to do things differently .. it's life (unfortunately) .. we don't listen and we don't think .. so often we exist ..
STEPHEN: The Reader is worth shelling out a few bucks for. Completely different to Boy in Striped PJ’s – the first is cerebral, the latter completely visceral. Both are sheer brilliance. HILARY: Too true! A lack of conscious awareness is at the root of so many of humanity’s individual and collective woes. If only we could be enlightened and wise before we make those terrible choices that give no inkling of how enormous their ultimate effect will be.